Nelson Ireson January 21, 2014 Comment Now! 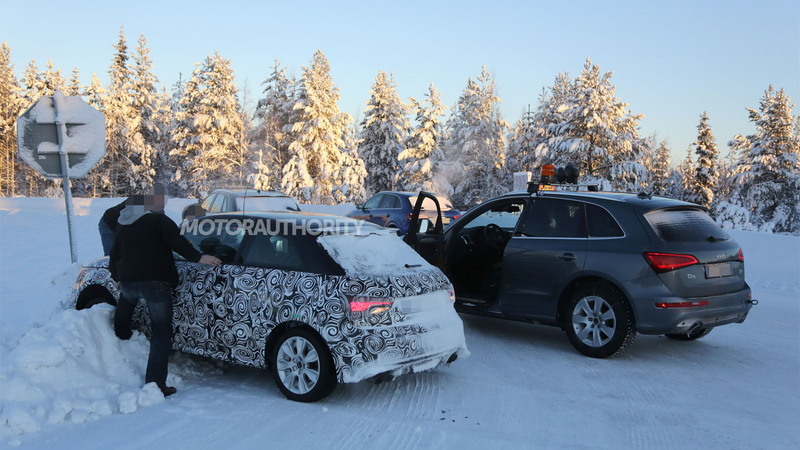 Prototypes for Audi’s S1 have been testing for the past four years, which is an unusually long schedule for a vehicle that’s essentially a hotter version of a model already on sale. However, there’s a very good reason why we’re yet to see Audi introduce its S1; the automaker has delayed the launch so that it coincides with the rollout of a facelifted A1 range. 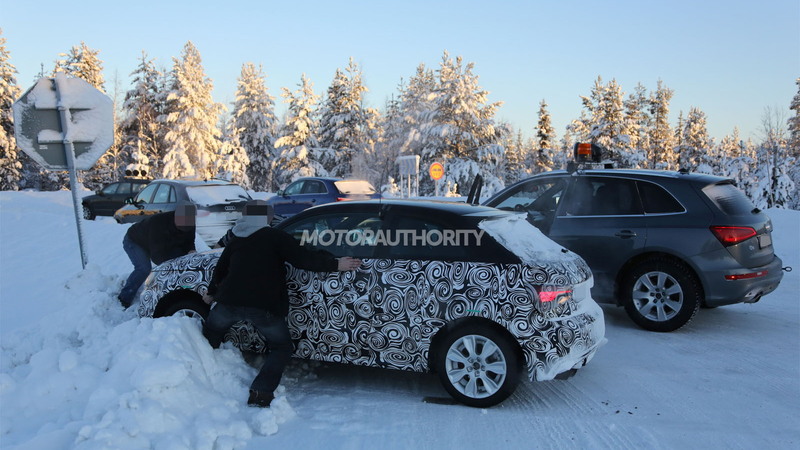 Our latest spy shots of the car show no real updates, but do show the car having collided nose-first with a snow bank during winter testing in Sweden. 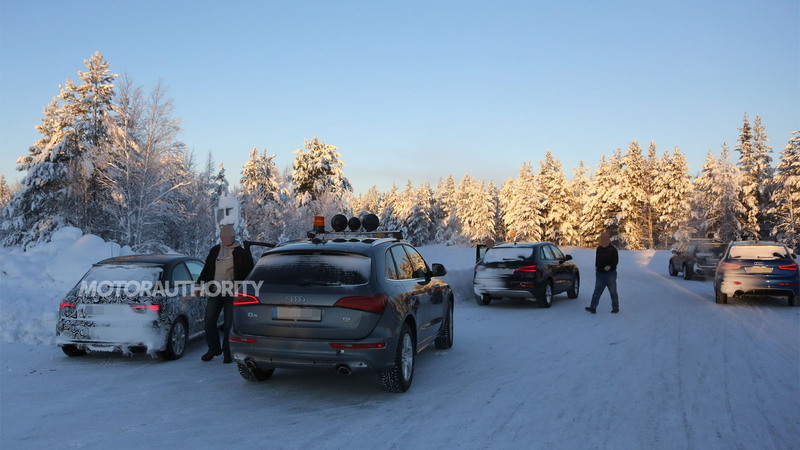 According to the spy photographer, the S1 met its snowy fate when it attempted to speed past, hoping to avoid being photographed. The driver lost control and nosed into the snow bank, with little apparent damage to the car and no injuries to the driver. The Audi A1 has been on sale since 2010 and is due to receive a mild facelift this year. We’re likely to see it unveiled at the 2014 Geneva Motor Show in March. This facelifted A1 will sport a revised grille, more angular headlights and new bumpers. The range will also feature a sporty S1 variant for the first time. Note, there was a previous A1 Quattro delivering as much as 256 horsepower but this was a limited edition built in a run of just 333 units. The S1 prototype you see here is wearing the facelifted A1’s clothes. If you look closely, the headlights are shaped similarly to those on Audi's recent Allroad Shooting Brake concept. We know this is the S1 variant due to the quad exhaust tips at the rear and large alloy wheels. 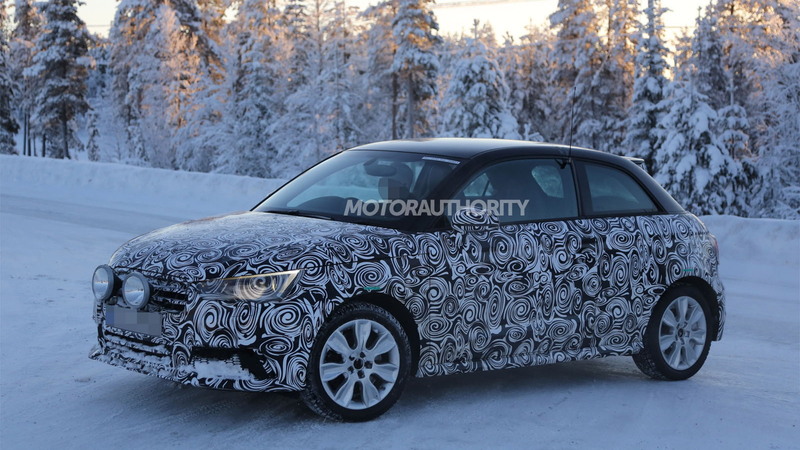 While it won’t be as extreme as the A1 Quattro, it won't be as severely limited in production, either. It's likely to pack more than 200 horsepower from a turbocharged 2.0-liter four-cylinder engine, a detuned version of the A1 Quattro's powerplant. That should yield 0-60 mph times in the six-second range and a top speed around 140 mph. We also expect the S1 to get quattro all-wheel drive, its own S-line trim and appearance enhancements, and a sport-tuned suspension. Audi's smallest car may not be making the trans-Atlantic swim, at least in this generation, but we're entitled to a little green-eyed ogling. We'll keep you updated as the situation with the facelifted A1 range develops, despite its current status as forbidden fruit.